Photo shows the view from the gardens. Note the peak of the stable gable above Grampy's head. Me by Grampy's leg. This area now contains a War Memorial to the Polish Code Breakers. During the war time operations, this area became garages. The attached composite photo of vintage vehicles in the garages was taken on the 9th April 2012 while on a tour of the museum. I think it was this part of the building that became a Post Office during war time operations. The attached photo was taken on the 9th April 2012 while on a tour of the museum. The attached photo was taken on the 9th April 2012 while on a tour of the museum. 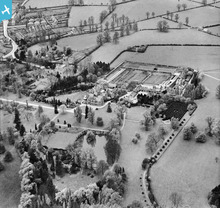 Demolished stable block that had closed off the Bletchley Park stableyard. 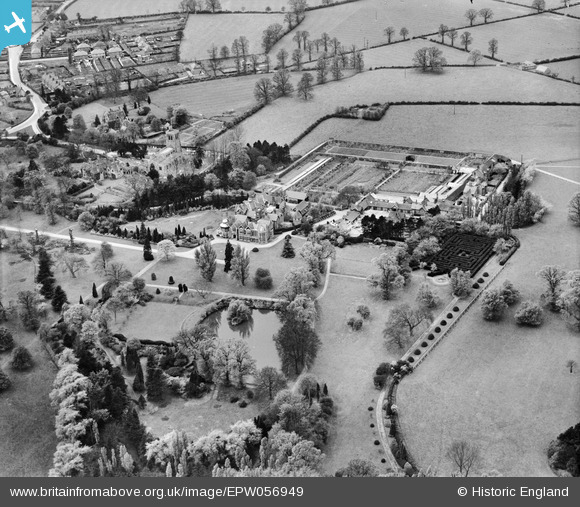 This building had connected to what had been the Leon family's fruit store (now known as the Bungalow) and was demolished by Captain Hubert Faulkner during his brief period of ownership of the estate before purchase by Admiral Sinclair on behalf of the Government in 1938. The attached composite photo shows the statue of Alan Turing and and information board about the Enigma machine. The photos were taken on the 9th April 2012 while on a tour of the museum. The attached composite photo shows the front and rear of one of the Bombe machines used for code breaking. The photos were taken on the 9th April 2012 while on a tour of the museum. 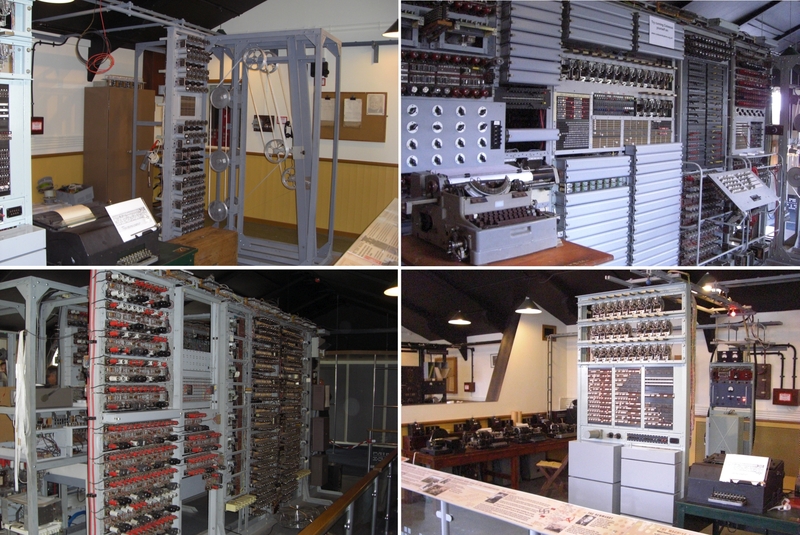 The attached composite photo shows the Colossus Mk1 & Mk2 and Tunny machines used for code breaking. The photos were taken on the 9th April 2012 while on a tour of the museum. What a gem of a picture. I think that this is worthy of a larger audience , perhaps for the book.